Those of us who live and work in Cincinnati most likely spend our weekends around the house or with friends. So this article is about what you may be missing! It’s a reminder not to save up for out-of-town company what the Queen City has to offer, but to stir up some curiosity and enthusiasm to get out and enjoy some of the best that Cincinnati offers. Touch a shark! 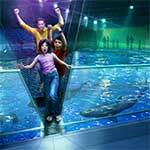 After you’ve walked across the Newport Aquarium’s Shark Bridge, a v-shaped suspension bridge that is 75 feet long but just a few terrifying inches above a whole tank of sharks, actually touching a shark will be a mere walk in the park. If the sharks aren’t enough to get you excited, perhaps interacting with live seahorses, sea dragons, and stingrays are. Visit the Newport Aquarium. Walk among thousands of butterflies! There’s a South American jungle in Cincinnati, right in the heart of beautiful, historic in Eden Park. 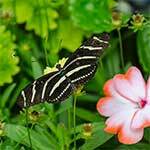 Here you’ll find over 3,500 plant species from all over the world, and from now through Father’s Day, June 16, over 12,000 fabulous colorful butterflies from Ecuador are freely flying throughout the building. Visit the Krohn Conservatory. Fly through the air without wings! 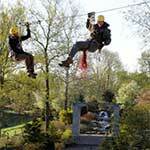 For lovers of outdoor adventure, the “Screaming Raptor Zip Lines and Canopy Tours” at the Creation Museum offer up two and a half to three hours of, well, screaming fun. There are zip lines for the timid, zip lines for thrill seekers, and even zip lines for racing your friends. The less adventurous can view art exhibits, dinosaur bones, a planetarium and a zoo. A dinosaur heaven for kids. Visit Creation Museum. Go underground! Our city’s hidden history is a great American landmark. 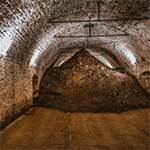 In the early days, streets in the neighborhood of Over-the-Rhine were lined with saloons, bars, and beer gardens, but underground there were damp caverns and rooms with stone walls where the wealthy buried their dead and the beer makers brewed Cincinnati beer during prohibition times. Visit American Legacy Tours. To learn more about these and other tours and things to do in Cincinnati, we recommend visiting the Things To Do section of the Cincinnati USA website. Have fun and send us your snapshots! John, age 53, called his mother who lived in another State. During the call, his mother complained that she’d received a bill from her neighborhood urgent care facility for $5,500 for a single wrist x-ray. She said not to worry, her wrist wasn’t broken, just a sprain, and she’d already written them a check for the X-ray. John was speechless. Paula, a highly successful art auctioneer and antique dealer, traveled the world to satisfy her clients’ tastes for fine collectibles. Every year, Pauls made a maximum contribution to her SEP-IRA. Last year, due to an exceptionally busy year and hectic schedule, she remembered to make the deposit, but forgot to invest the money. It sat in cash for over a year losing potential profits. Adult children of aging parents like John need daily money management solutions for peace of mind for themselves as well as their elders. With age, older people living independently become forgetful and distracted with health issues. Managing monthly bills and sorting through bank statements, investments, and medical insurance forms becomes more difficult. The adult children worry about their parents’ financial decline, but are hesitant to get involved. Their own lives are busy, they live far away, or they just don’t want to face the fact that their their parents can no longer maintain autonomy and control over their own lives. Entrepreneurs like Paula need help to manage their daily money matters and investment accounts. 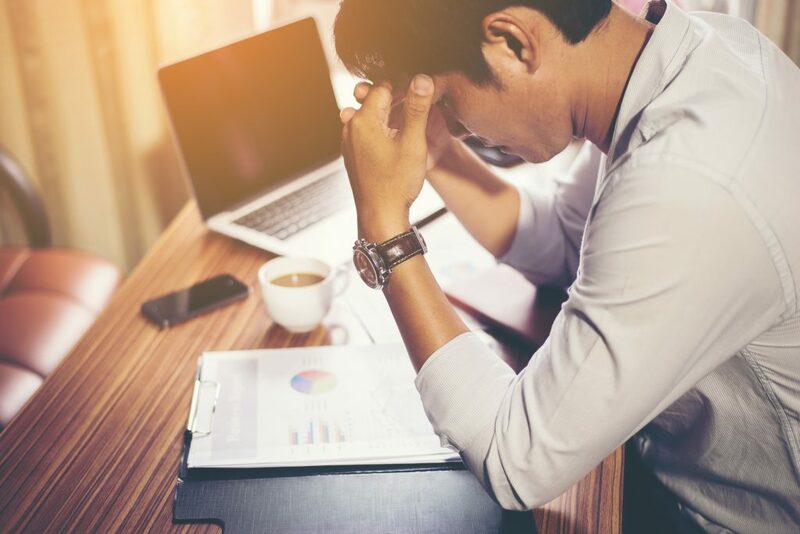 Usually working longer than 8-hour days, traveling extensively, having multiple investment accounts, often owning multiple properties, these busy business owners have little time to tend to their personal financial matters. If either of these scenarios hit home with you or with someone you know, please consider a complimentary review with us at DL Money Matters. We can help you decide whether it’s time for a daily money manager in your life, or in the life of someone you love. From time to time we like to divert from our usual blogs about small business accounting and daily money management to dig up a few nuggets about our hometown — Cincinnati. This is one of those times. Longfellows is an the Over-the-Rhine bar that recently opened a new space for private events they call the Other Room. The original Longfellows bar is named after the poet, Henry Wadsworth Longfellow (1807 – 1882) who has a certain connection to the Queen City. Longfellow loved mythology and legend, both of which Cincinnati has in abundance. We are named after Lucius Quinctius Cincinnatus, a Roman farmer and statesman known for his great civic virtue; we are also a legendary wine producing region of the world. Catawba Grapevine image courtesy of Double A Vineyards. Nicholas Longworth was a wine grower in the Ohio River Valley outside of Cincinnati in the early 1800s. 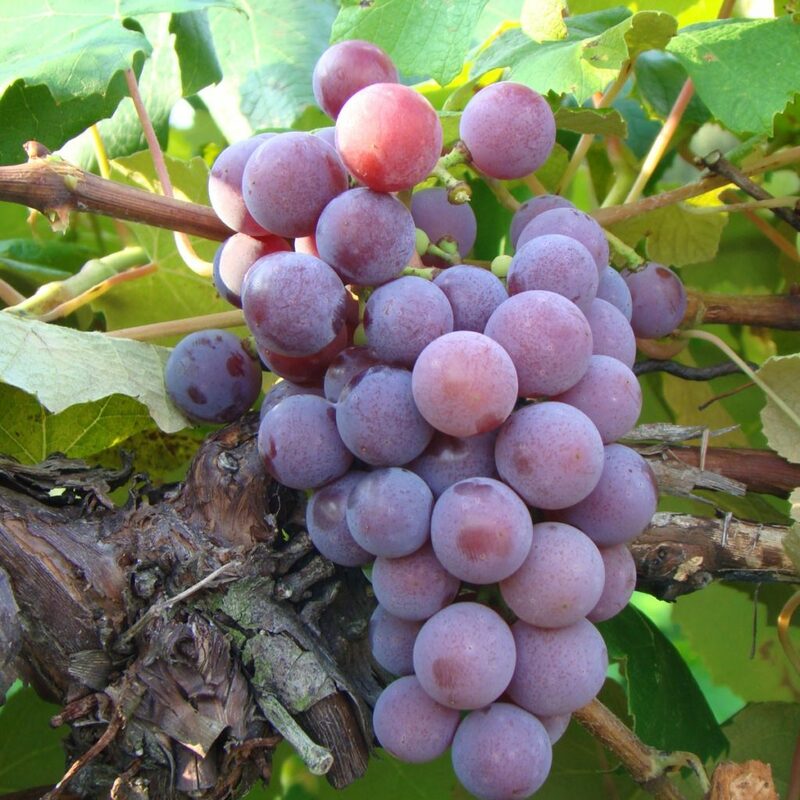 His prize wine was made from the native Catawba grape, and would become one of the greatest wines in the world. This was the wine of poet Longfellow’s classic poem “Catawba Wine” — a tribute to the grape and the city that produced it, written on the receipt of a gift of Catawba wine from the Nicholas Longworth vineyards on the Ohio River. *Longfellow, Henry Wadsworth “Catawba Wine” Henry Wadsworth Longfellow [online resource], Maine Historical Society, Accessed 23 March 2019.